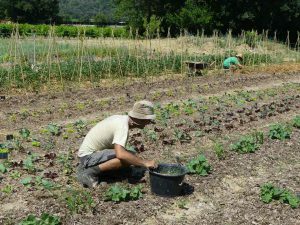 The Ivory Foundation has been developing an experimental and educational vegetable garden on the Domaine de Fontenille in the Luberon (France). 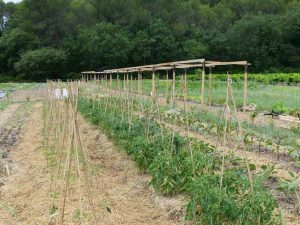 This garden is designed to introduce children to organic gardening methods inspired by permaculture, agro-ecology and agroforestry. 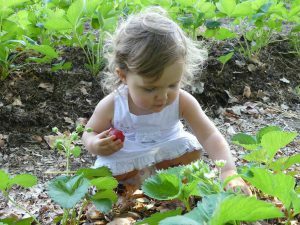 The objective is to introduce the younger ones to ecological gardening, and to environment preservation. 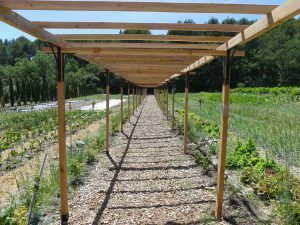 On 5000 m2, the children can follow the transformations of cultivated plants, understand the role of trees, water, auxiliary insects. They become familiar with different species of fruits and vegetables, aromatic herbs and edible flowers. They can also discover composting techniques and the various stages of decomposition of waste, and to understand the functioning of ecosystems and the consequences of human actions on nature. The goal is also to understand the importance of biodiversity conservation, and the principles of sustainable development. They can visit the bioclimatic greenhouse, an innovative and natural system, which stores solar energy during the day and restores it at night, during cloudy weather. They will also be able to discover special gardening techniques such as permanent beds, keyhole garden or under tree cultivation. 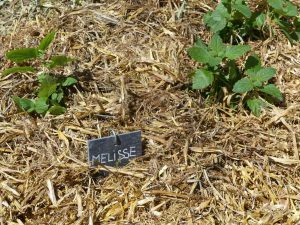 Some activities of the garden are also intended to relay the experiments made in other educational gardens conducted with the support of The Ivory Foundation, especially in Africa. 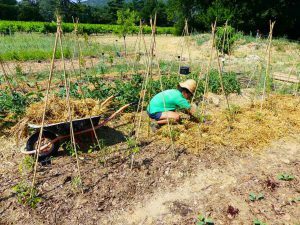 These experiences will be presented on the “Transandins” internet blog, which is a platform relaying different initiatives, as well as a tool for linking classes from several countries around the garden. Group visits will be tailored to the age of the children, prepared in coordination with the teachers. Fun activities in small groups can also be organized, with possible extensions in class.